In 1965 Phoebe Snetsinger was 34 and her life was half over. She was married and had four small children and was living in a little three bedroom, one bath house in rural Minnesota. On a spring day she went to visit her friend Elizabeth. She handed Phoebe a pair of binoculars and pointed toward an oak tree in the back yard. 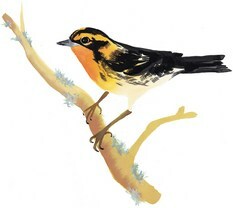 What Phoebe saw was a small black and white bird with a yellow head and an orange breast. Later in her journal she wrote that it was like a “blinding white light.” It was the beginning of an amazing journey. Numb and bored with her role as a housewife, Phoebe turned to bird-watching with a passion. But then her life took another dramatic turn. At 49 she was told she had cancer and less than a year to live. Her response was to throw herself even more into birding, in a quest to see how many birds she could see before she died. But she did not die. She began criss-crossing the globe, going on hundreds of birding trips, often to dangerous or difficult places. She survived being gang-raped, being kid-napped at gun point, and many dangerous and difficult treks through deserts, mountains and jungles. She neglected her family, she skipped her mother’s funeral to go on a birding trip, she even skipped her oldest daughter’s wedding to go on a birding trip. She was obsessed with getting the most number of birds on her “life list.” By the time she died in an accident on a birding trip in Madagascar she had seen almost 8,400 birds, almost 85% of the known species in the world and more than anyone else had ever seen.